Celtic Connections offers radio listeners a wide variety of traditional and contemporary music associated with the western European lands occupied at one time or another by people of the Celtic tribes and their descendants, including Ireland, Scotland, the Isle of Man, Wales, Cornwall, Brittany, and Galicia, as well as Cape Breton, Nova Scotia, and other parts of North America where the Celtic influence has been felt. 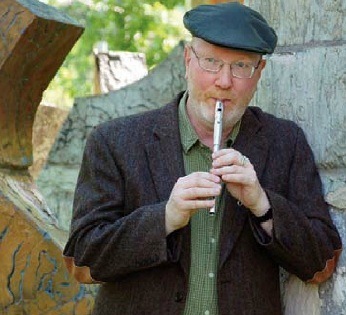 The program's host, Bryan Kelso Crow, also brings you great music from England and from Scandinavia and other European regions, all of which have connections with a Celtic past. Each week on Celtic Connections, you can count on hearing the finest selections from new releases as well as from Celtic classics. We also offer occasional concert performances, recorded exclusively for Celtic Connections, along with original interviews with some of the top names in the Celtic music world. Celtic Connections is syndicated to stations across the U.S. If it is not available on your local public radio station, contact them about your interest in the program, with the reminder that it is available absolutely FREE! Join Celtic Connections this week for new and recent releases. Featuring Four Winds, Back West, Danu, The Crannua Collective and more!